Toni is regarded as the engine room behind elders Bangalow. She is our rockstar office manager who knows how to cultivate the right office culture and steers the ship in the right direction as the office grows. Her role is a unique and demanding one where her diverse set of skills and amazing attitude thrive. Toni’s experience and flexible approach means she can roll with the punches and handle anything that comes her way. Along with her real estate training, Toni has completed a dual diploma in Management and Leadership. 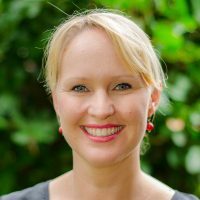 Toni is a busy mother of three who loves raising her family together with her husband Andrew on the beautiful Far North Coast. Would you like to speak to Toni? If you’re thinking about renting or selling your property and you’d like a clearer picture of how much your property might be worth or want to have an informal chat about general property market trading conditions, Toni will be happy to arrange a full market appraisal of your property.